Many employees undergo sexual harassment training when they first join a new company, but compliance training can often be boring, meandering, or at worst uninformative. 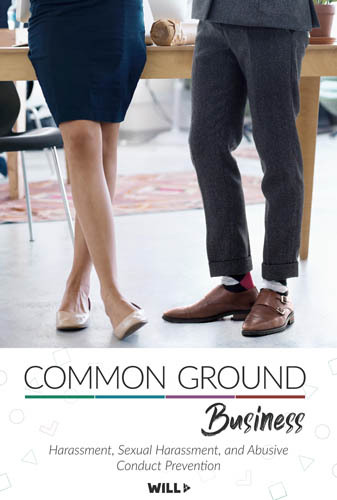 Common Ground Business helps organizations cultivate a more professional environment from the start and make a good first impression, rather than torture staff. On WILL Learning, you will be able to assign Common Ground Business to your employees, track their progress, and get certificates of completion. Employees will be able to suspend / resume the program at any time, from any device. If you're already enrolled in a course, start by signing in.